This Expedition is design for the Gold Level award but can be adapted for Silver Level. It can also be adapted to fulfill requirements for Community service and skills development for other similar awards. The Expedition can be adapted to be used as a Bronze level adventurous journey or extended for Silver/Gold IYA programs. 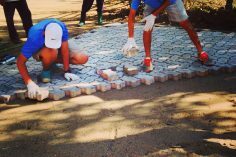 It can also be adapted to fulfill requirements for Community service and skills development for other similar awards. 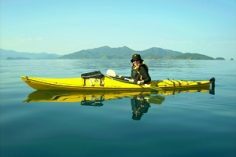 If required for IYA qualification, one member of the Wild Planet Staff will act as an independent assessor for the trip. 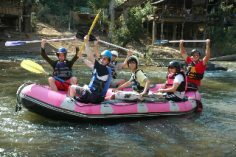 The Chiang Dao & Mae Taeng valleys are in the North Eastern part of Chiang Mai Province, almost 100 kilometres north of Chiang Mai city and encompass some of the country’s most spectacular scenery. 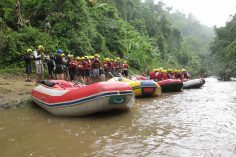 This program is a journey starting upriver and descending after training down into the Mae Teng valley close to where the river joins the Ping river to continue its journey to the sea. For this expedition we loop behind Doi Chiang Dao peak to the Muang Kong valley. Once entering the valley (where the road ends). 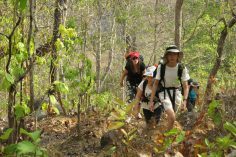 We trek from our base camp into the forest reserve and take the opportunity to explore Tham Khi Mi cave which is a 1.9 km long passage transecting all the way though a hilltop. Students will have chance to observe and pass though a number of classic caving formations as they complete the passage though the hill. Over the last few years we have seen the popularity of the award increase markedly within schools around the region. We have been able to offer our services as providers and supervisory staff for various DOE, IYA and NYAA Bronze, Silver and Gold training and assessment programs based both on land and water around Thailand. We have used the Wild Lodge as a venue for unit leader training programs, as well as student and leader orientation programs for the award. This program allows students with little experience to gain a grounding in basic expeditioning skills. 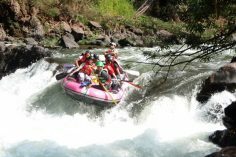 This trip offers a multi activity format easily customized to your needs. 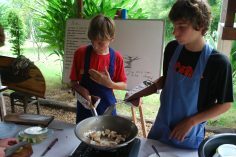 We can tailor the program to curriculum aims, team building aims or simple residential fun. in all our adventure activities everyone has a role to play. 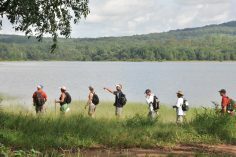 This overnight trip to the Wild Lodge creates an environment or discovery allowing peer group interaction.